The Stanford University online course OpenKnowledge Changing the Global Course of Learning fall 2014 has proceeded to module 5 in week 5. We have seen a video of John Willinsky. In the courseware discussion forum I have posted a lengthy evaluation. Bottom line about 'open access' for me this week: everyone can self publish on the WorldWideWeb. Who needs a publisher? Among my classmates I have identified ten who have started a digital project for this course. Those are on the most ambitious track for this course regarding statement of accomplishment. Studying in America was one of my dreams thirty five years ago. As a high school kid I mail ordered information on studying in America. After a couple of weeks I received a thumb thick package with information brochures and set of application forms. It was explained to me that the application process would take at least a year. I had to go through a whole series of tests, like the TOEFL test. There were all kinds of formalities involved. And it would cost a lot of money. For a couple of reasons I settled on studying in my home country, the Netherlands. Last spring Bishakha Datta shared a post about an one semester course at Stanford University. The post contained a link to Open Knowledge: Changing the global course of learning. Two clicks later I was signed up for the MOOC. Anyone with an internet connected device can sign up for the course for free. So far, a couple of hundred people from dozens of countries across the globe did so. Something has definitely changed between my experience thirty five years ago and now. The course would start in September. I'm now in week four of studying at an university in America. On line learning through a MOOC in a class of hundreds of people is an overwhelming experience for me. Over the next couple of months I will update this blog regularly to share my experiences and learnings. Topics to cover will include my student experience now compared to thirty years ago, developments of ideas and my goals and plans in life with Open Knowledge. 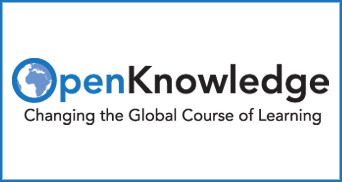 : Bishakha Datta (a member of the Board of Trusteed of the Wikimedia Foundation), " [Wikimedia-l] Free online course on open knowledge", https://lists.wikimedia.org/pipermail/wikimedia-l/2014-May/072303.html. : Due to bitrot the link contained in the post referred to in  above is now dead. : Course sign up page as of September 22, 2014: http://online.stanford.edu/course/open-knowledge-changing-global-course-learning.